YesAsia: Return Of VIXX And Ballad Duo Fly to the Sky! VIXX and ballad duo Fly to the Sky have returned. 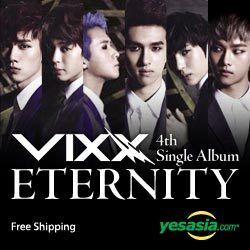 You can preorder Fly to the Sky’s autographed version with poster and Vixx’s newest album from YesAsia.com! If you’re looking for something hot & spicy, how about some Tom Yum Goong action from Tony Jaa? The movie is now also available at YesAsia.com! Click the banners to get your copies today! ‹ We’re Back!!! › SAMMYdress: Shoes!